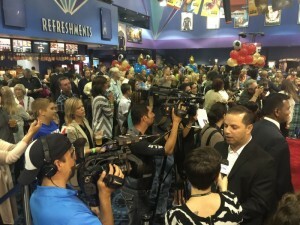 We want to thank everyone for attending the Golden Shoes Red Carpet movie event. It was a great turnout! We also appreciated all of the favorable comments after the movie screening. The movie is now available on Pay-Per-View, On Demand, as well as Walmart and Amazon for those who were unable to join us at the movie premiere.